I usually use Ruhi fish for fish chop. But you can use any fish of your choice. Though I haven’t used any onion in this recipe, it is up to you to use onion. Hope you will love this recipe. 1. Boil the fish and debone it. 2. 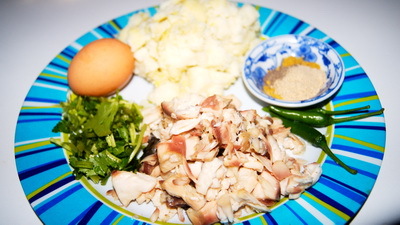 Mash potato and fish together with all together except bread crumbs. 3. Break the egg and mix with it. 4. Shape the mixture and roll in bread crumbs. 5. Fry the chop till it becomes golden brown. 6. 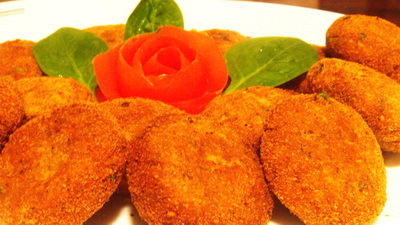 Serve Macher Tikia / Fish Chop with sauce as a snack or as a side dish with rice or polau. Tips: Need the mixture moist enough. Otherwise chop will break. 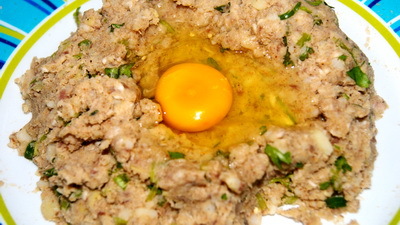 For moist mixture need to use egg. You will get regular email shortly…..